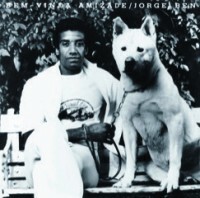 Originially released in 1981, Jorge Ben's "Bem-Vinda Amizade" saw the legendary Brazilian musician translate the tropicalia, samba and jazz styles with which he'd made his name into a rich and groovy strand of soulful MPB perfectly suited for cocktails by the pool. This contemporary sound, informed by years of songwriting experience and a deft touch with rhythm and melody, as well as its 80s release date made the LP a classic play on Italy's cosmic scene and in the nascent days of Ibiza's Balearic revolution. Opener "O Dia Que O Sol Declarou O Seu Amor Pela Terra" sets the scene with carnival rhythms, tropicalia guitar and a sing-a-long chorus, before the optimistic 80s soul of "Santa Clara Clareou" lays down a massive Balearic marker. The DJ heat continues with "Oé Oé (Faz O Carro De Boi Na Estrada)", a fresh cocktail of disco bass, boogie percussion and loose Latin guitar taken to the next level via Jorge's joyful vocal. And so it goes through another 7 essential tracks, all blending soul, disco and 80s pop with the classic sounds of Brazil - loved by the Balearic crowd, Brazilian collectors and anyone with taste, this is a total masterpiece! Patrick says: Arguably the Brazilian Balearic masterpiece, Jorge Ben's "Bem-Vinda Amizade" is blessed with a flawless tracklist and love and appreciation from all your favourite DJs. And it's got a lovely doggo on the sleeve - nice touch.